Unless your child tells you he or she is being bullied, or has visible signs such as bruises, it can be hard to detect. Children who are bullied often suffer in tortured solitude because they are afraid of the repercussions of telling someone. With that in mind, here are seven common warning signs you can look for to help determine if your child is being bullied. Change in behavior or mood is a common sign in school age children who are being bullied. Children may become withdrawn, anxious and less confident. 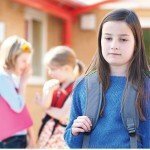 Decrease in appetite is often found in children who are victims of bullying. Child may sit at the table and not eat. Again this represents a change in behavior. Frequent missing or broken possessions. Clothes may be torn, lunch money may be stolen, books may be destroyed. Always looking for a new way to get to school. This is common when bullying takes place on the bus. Sudden change in grades. A child may do poorly in a subject they always did well in with no explanation. Comes up with every excuse not to go to school. Increase in headaches stomach aches etc. 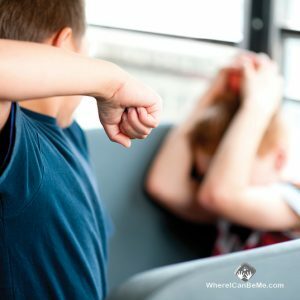 If you suspect that your child is being bullied, then you should check out the article “What to do and not do if your child is being bullied.” We also provide Consultations and Bully Prevention Services that can help protect your child. Call 914-488-5282 to request a confidential consultation.